Zenmiru is a tri-lingual e-zine with a different perspective on photography. 1586. Stone from Iceland 3. 1585. Stone from Iceland 2. 1584. Stone from Iceland 1. It is situated in city centre. 1348. Reflection in water 2. 1347. Reflection in water 1. 1345. Corrosion on metal above a church door. 1344. Rust caused by a water-puddle in the steel bucket of a digging machine. On the water-front I found a pile of pipes. This picture was taken of the inside of a pipe. At the end the window of a house. 1341. Evening-light over the mountains near Borgarnes. 1340. Evening-light on the mountains near Borgarnes. Close-up of the previous picture. Egill bringing his dead son B��var to the gravehill of his father Skalla-Gr�mur. Close-up of a beech trunk. This beautiful park is dedicated to Egill Skallagr�msson. The main character in the Egils Saga. 1322. Landscape in Iceland 104. 1322. The highest point in the pass between Borgarnes and Stykkish�lmur. 1321. Landscape in Iceland 103. 1320. Landscape in Iceland 102. 1319. Landscape in Iceland 101. Iceland's most westerly glacier mountain. 1318. On the waterfront 7. 1317. On the waterfront 6. 1316. On the waterfront 5. 1315. On the waterfront 4. This shape was formed by sand, stones and water. It looks a lot like a mill-stone from the Stone Age. 1314. On the waterfront 3. 1313. BEST WISHES FOR 2010. 1313. Photoshopped version of picture nr. 1309. 1312. On the waterfront 2. 1311. On the waterfront 1. 1309. The indoor second-hand market at Reykjavik 6. Christmas decoration hanging from the ceiling. 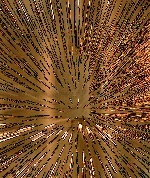 Picture was taken with slow shutter-speed while zooming. 1308. The indoor second-hand market at Reykjavik 5. 1307. The indoor second-hand market at Reykjavik 4. 1306. The indoor second-hand market at Reykjavik 3. 1305. The indoor second-hand market at Reykjavik 2. 1304. The indoor second-hand market at Reykjavik 1. The pictures in this series were taken in a fairly dark space. It was only just possible to take pictures without flash and tripod and the zoomlens on tele. 1303. Threatening evening sky over Reykjavik's harbour. 1302. The side of the ship in the previous picture. The shadow is made by a spiral staircase. 1301. This ship does not differ very much from the original viking ships. 1300. In the harbour a ship was being painted. It looks a bit like an Icelandic landscape with a blue sky. Nj�l is the person from the saga. 1298. Iceland, July 24, 2009. 1297. Iceland, July 24, 2009. 1296. Iceland, July 24, 2009. 1295. Iceland, July 24, 2009. 1293. The weekly credit crisis protest in front of Iceland's parliament building 3. 1292. The weekly credit crisis protest in front of Iceland's parliament building 2. The making of this picture took a lot of patience. I really wanted to have the 3 windows in the frame too. When there were exactly 3 people on the right side en 2 on the left I took the picture. The background is just the way I wanted it. It took quite a few exposures. Fortunately this is not a problem with a digital camera. I greatly admire Henri Cartier-Bresson. The master of the "decisive moment"
1291. The weekly credit crisis protest in front of Iceland's parliament building 1. A deafening noise is made with pots and pans and the like. Actually the building is smaller than the average town hall in Britain. 1290. The side of a ship in Reykjavik's harbour. 1289. The court-yard of the Red Rock Cinema. In this theatre you can see the Volcano Show. Films about volcanic eruptions in Iceland. 1287. 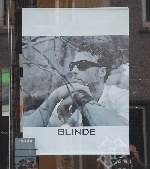 Blinde. Quite a bizarre brand name for dark sunglasses. It gives a strange association in Dutch, English, German and the Scandinavian languages including Icelandic. 1286. Landscape in Iceland 100. 1286. Beach in Iceland's south 3. 1285. Landscape in Iceland 99. 1285. Beach in Iceland's south 2. 1284. Flora of Iceland 7. 1284. Beach in Iceland's south 1. There are a lot of beaches with black lavasand. 1283. Landscape in Iceland 98. 1283. Iceland, July 22, 2009. 1282. Landscape in Iceland 97. 1282. In the backgroend the M�rdalsj�kull glacier. 1281. The wind constantly changes the direction of the waterfall. 1280. The waterfall of Seljaland, the Seljalandsfoss, is not known for the amount of water but for its height of 65 meters and also for the fact that you can walk behind it. This is not the main fall, but a small one to the left. 1279. Landscape in Iceland 96. 1278. Landscape in Iceland 95. 1277. Landscape in Iceland 94. 1276. Landscape in Iceland 93. 1275. Landscape in Iceland 92. Iceland is a perfect country for horse riding trips. 1274. Landscape in Iceland 91. 1273. Landscape in Iceland 90. The walkers show the scale of the Icelandic landscape. 1272. Landscape in Iceland 89. 1271. Landscape in Iceland 88. 1270. Landscape in Iceland 87. 1269. Landscape in Iceland 86. 1268. Landscape in Iceland 85. 1267. Landscape in Iceland 84. The steam is emitted by a so-called fumarole. 1266. Landscape in Iceland 83. The area is famous for the beautiful, especially red colours. 1265. Landscape in Iceland 82. 1264. Road in Iceland 17. This road looks reasonable at first sight, but all is not what it seems. There was a lot of so-called washboard or corrugated road-surface. When you go slowly, you feel every little ridge and when you go fast, it's better for you, but a lot worse for the car. This kind of road can go on for dozens of miles, then all of a sudden a couple of hundred yards it's okay again to start all over again with the same trouble. On top of that these roads are either very dusty or very muddy. The dust permeates everything if you close your teeth you can hear the grit. 1263. Landscape in Iceland 81. This river was easily crossable with a 4wd at the moment the picture was taken. That can sometimes change very quickly depending on the weather. The middle section is dry now, but can easily flood after a couple of hours of rain. The widest part is always the best part for crossing, because there the water is less deep and flows slower. 1262. Landscape in Iceland 80. 1261. Landscape in Iceland 79. Most of the river crossings can be done easily under normal circumstances. 1260. Flora of Iceland 7. 1259. Landscape in Iceland 78. 1258. Landscape in Iceland 77. 1257. Landscape in Iceland 76. Erosion, caused by melting snow, made these neat piles of dead plant and moss material. 1256. Landscape in Iceland 75. 1255. Landscape in Iceland 74. 1253. Flora of Iceland 6. Actually I don't know if lichens belong to the flora, if somebody knows it, I would like to hear it. 1252. Waterfall in Iceland 5. 1251. Flora of Iceland 5. 1250. Landscape in Iceland 73. 1249. Landscape in Iceland 72. Every day a new picture of our trip to Iceland with a Land Rover 109. The Iceland series starts with picture 1200 in Archives August 2009. 1248. Church in Iceland 2. 1248. I choose a position whereby the cross is enclosed in the mountain top. The wall in front of the church works as a kind of mirror for the mountain. Theoretically 80 to 85% of the population belongs to the Evangelical Lutheran Church of Iceland also called the National Church of Iceland. 1246. Flora of Iceland 5. 1245. Geranium growing in the wild. 1245. Waterfall in Iceland 4. 1244. Waterfall in Iceland 3. This picture was taken straight down from the end of the path in the previous picture. No place for people with vertigo. 1243. Waterfall in Iceland 2. To walk on the paths on the right and the left, you need quite a bit of courage, the ground looks very unstable and the sides are very steep. 1242. Waterfall in Iceland 1. In spring there is probably a lot more water in the river. 1240. Flora of Iceland 4. 1239. Fjadr�rgljufur, Fjadr� is the name of the river and the Icelandic word glj�fur means canyon. 1238. This deep canyon is on a side-road of the F206 to Laki. 1237. Farm in Iceland 11. 1237. As far as shades of green are concerned Iceland is a march for Ireland. 1236. The deepest shades of green are in the wettest places. 1235. Road in Iceland 16. 1235. On this part of the Laki road (F206) we had to drive very slowly. 1234. Landscape in Iceland 71. 1234. Strange that the moss is growing on the steep part, you would expect it on the bottom which is less steep. The steep part is much more subject to erosion. 1233. Landscape in Iceland 70. 1233. View from Laki mountain. 1232. Landscape in Iceland 69. 1232. The volcanic fissure Lakagigar as seen from Laki. 1231. Landscape in Iceland 68. 1231. View from Laki mountain. The line on the bottom left is a footpath. 1230. Flora of Iceland 3. 1230. Flower arrangement by nature. 1229. Landscape in Iceland 67. 1229. Parking place near the mountain Laki in the early morning. 1228. Road in Iceland 15. 1228. There is still a little bit of snow. That causes the small streams and they form in the end the bigger rivers. 1227. This small stream is the cause of the big puddle in the previous picture. Moss 13 is picture 974 in Archives April 2008. 1226. Road in Iceland 14. 1226. The road to Laki. Sometimes in very good condition and sometimes really big holes. 1225. Road in Iceland 13. 1225. The road to Laki. The wetter the moss the greener. 1224. Landscape in Iceland 66. 1224. One of the many volcanoes in the Laki area. 1223. Landscape in Iceland 65. I always try to find some kind of rhythm in nature. Here it is the repetition of the round form in the foreground. 1222. Landscape in Iceland 64. Icelandic moss can have all kinds of hues. When it is dry it has a greyish tone, but with one drop of water it immediately changes back to green. Here it has a very warm hue because of the evening light. 1221. Landscape in Iceland 63. 1221. Moss-covered lava field 1. This was our view from the camp-site in the Laki area. 1220. Road in Iceland 12. 1220. This is the F206 to Laki. Roads with an F in front of the number are only accessable for 4WD vehicles. The first part was very easy to drive but further on there were a few very bad stretches. 1219. Landscape in Iceland 62. 1219. The paved roads are usually of good quality. The yellow posts are no luxery. There is often hardly a shoulder. 1218. Landscape in Iceland 61. 1218. Red and white are the favourite colours for farms in Iceland. 1217. Flora of Iceland 2. This plant often groes together with moss. In Icelandic it is called lambagras. 1216. Flora of Iceland 1. 1216. Even on the barest soil you can still find something growing. For the start of the Iceland 2009 series click Archives and then August 2009. 1215. Landscape in Iceland 60. 1215. Farm with Icelandic horses. Ultimately there is not much left of the glacier, except a few interestingly shaped pieces of ice, the next day everything has returned to water. In the ice you can see all kinds of colours and hues. Glacier ice has been so compressed that there are no air molecules left in it. Water molecules without air absorb all colours except blue. The black stripes are ash deposits from volcanic eruptions. From the thickness of the stripes and the space between them scientists can calculate the age of the ice. On the ice there were several birds. There is one just right of the triangle. Apparently they find something to eat there. J�kull means glacier in Icelandic and l�n means lagoon. Here the ice that broke away from the glacier forms a beautiful lake. 1209. The Breidamerkurjokull is part of Iceland's largest glacier the Vatnajokull. 1208. Landscape in Iceland 59. 1208. The winter-supply of hay lies ready to me moved. It has been sealed airtight in plastic. 1207. Arrival in the port of Seydisfjordur. The road from Seydisfjordur to Egilsstadir is quite steep in a couple of places. Cyclists are the first to disembark, so you have to overtake them on this road. I felt pity for them, there was a strong headwind and it rained of and on. You have the possibility of disembarking for about an hour. I don't know if this is the smallest capital in the world, but it will surely be in the top-ten. Grass-coverd roofs and brighly-coloured houses. There are even a few trees. On the Faroe-islands you hardly see any trees. 1203. Between Denmark and the Faroe-islands. 1201. Embarking on the ferry to Iceland. 1200. The ferry to Iceland.